One trend I’m a huge fan of this season is plaid. So much so my girl Kimba at Kimba Likes and I decided the plaid shirt is this months hero piece for the Style It Project. What’s the Style It Project you ask? It’s a mini style “prompt” of sorts encouraging ladies (and gents of course) to share their outfits during the month. Call it style inspo from everyday style queens like you! We love seeing how you rock your everyday looks so we encourage you to play along, tag us on Instagram and hashtag #StyleItProject so we can see your looks. So why plaid this month? 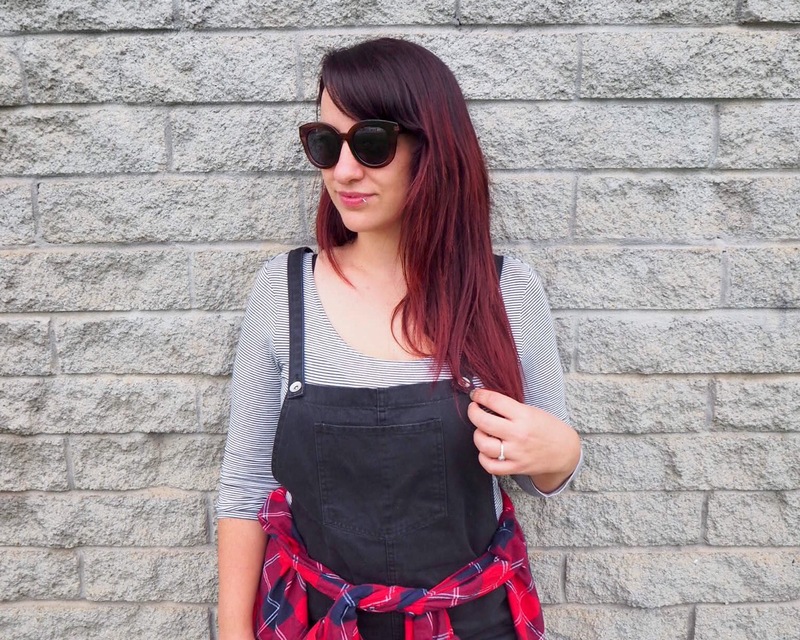 The nineties has been back in a big way as of late, and plaid is just one simple way to jump on the trend. If you’re not game enough to rock a choker or a barely there slip dress but want to bring back the nineties, this trend is for you. Plaid isn’t just for tradies and farmers, with many labels releasing plaid outerwear and shirts for Autumn and Winter. The piece Kimba and I chose for our hero piece this month is the BeMe Rolled Sleeve Checked Shirt ($59.99), which is one for the inbetweenie’s out there, but you can find the plaid shirt anywhere and everywhere. My shirt is from Target and E actually picked it up at an op shop last season! Score! Told you they’re everywhere. Traditionally one would wear a shirt as a shirt, but when putting together outfits lately I’ve been inspired to think outside of the box. I’ve been partaking in at least six style challenges this month (check them out on my Instagram) and snapping my everyday style every single day, so it’s really interesting to see how style evolves with a bit of help from a prompt. I like pushing myself, and when putting together my outfit to feature for the Style It Project this month I wanted to try something a little different. 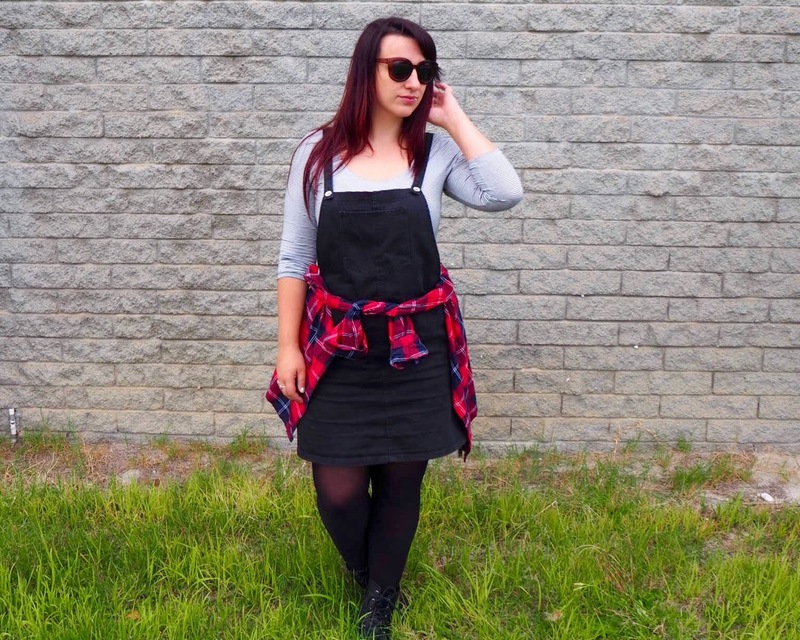 I picked up this pinafore from New Look when we visited Singapore a few months back. I’ll admit I went a little bit crazy in the store, purchasing several things to bring back to Oz. New Look is one store Perth needs, because the range is so extensive, the prices are decent and the quality is fantastic. 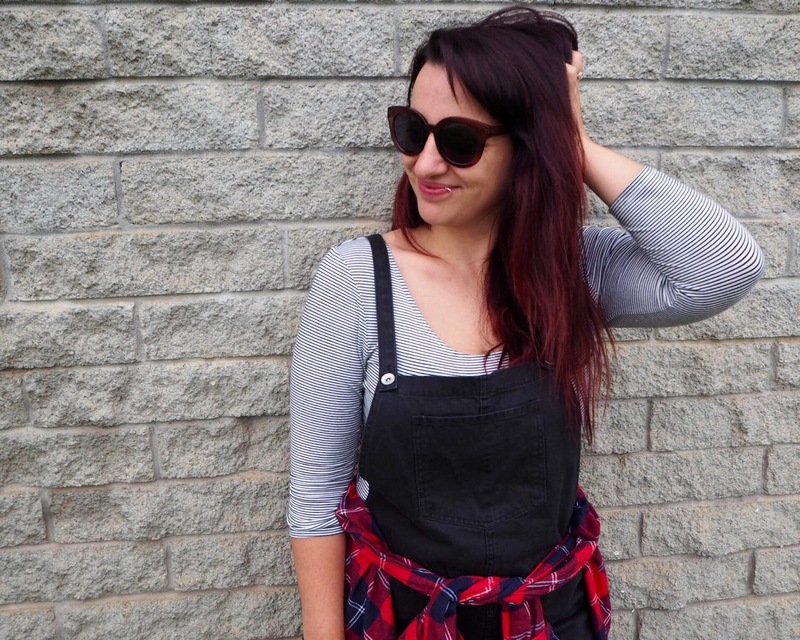 I lived in my blue denim pinafore during Summer and I knew I’d get a lot of wear out of a dark denim one for the cooler months. The fabric is thick and perfect for cooler days, and you can basically wear anything underneath, making it very versatile. I love the grungy nineties vibe about it too, and when thinking about the Style It Project this month I knew I had to somehow incorporate the two together. I thought about wearing the plaid shirt with the dress, but loved how it looked tied around the waist! It reminded me of Party Of Five, which I loved in my youth. Another personal fashion “challenge” I’ve been pushing myself to try lately is the good old “print clash”. When executed well, the print clash is very stylish and fashion forward. My favourite print combo’s include floral and stripes (more here) and leopard and stripes (more here), but plaid and stripes works just as well together! Stripes are pretty much a basic in my wardrobe (you don’t want to see how many striped tops I own), and work pretty well in every fashion situation. I wasn’t sure how the stripe would work with plaid, but my fabulous sister (who shot these pictures) convinced me it was the way to go. She’s a clever cookie! Print clashing used to be so far out of my comfort zone, but I’m really starting to love it. Continuing with the grungy theme for my Style It Project look, I went with my new season Kmart boots and a pair of stockings to beat the Perth chill. You don’t have to wear stocking or tights with your pinafore, but the dark colouring of the denim makes it perfect to pair with a good pair of leggings or the like. I’m kind of obsessed with these boots too. I only got into boots last season as I really struggled to find styles that suited my legs. Thankfully this season is all about the ankle boot so I’m glad to have found a few styles that suit me. There is always something for everyone guys! If I’ve not yet convinced you how versatile a plaid shirt can be, here are a few of my favourite bloggers showing us their take on the trend. Jo at iCurvy has plaid down with a fabulous vest version. Sonia at Sonia Styling explains how comfortable and casual a checked shirt can be. 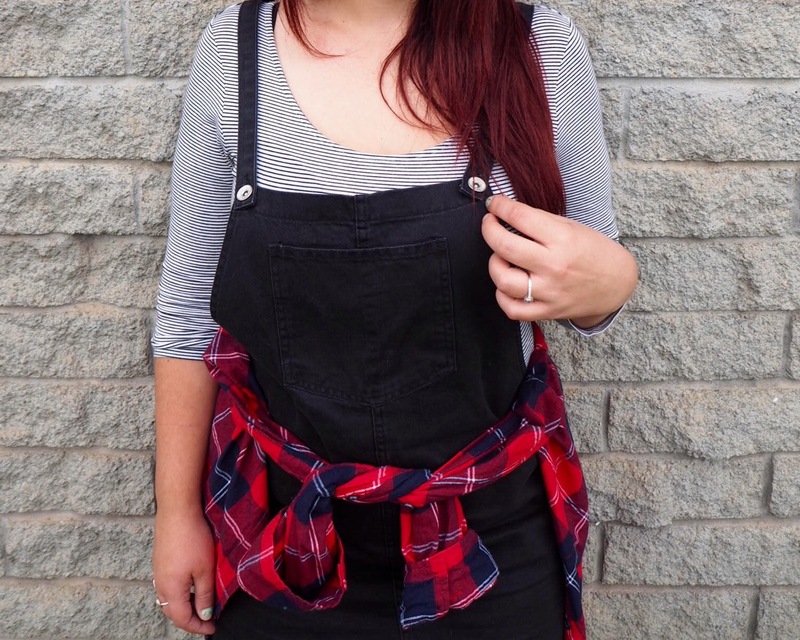 The queen of “lady lumberjack”, Bron at Flat Bum Mum explains how not to look like you are off to the farm in this post here and Jen at Styling Curvy has put together a great edit of the best in Autumn and Winter checked shirts to buy now! How do you style a checked shirt? 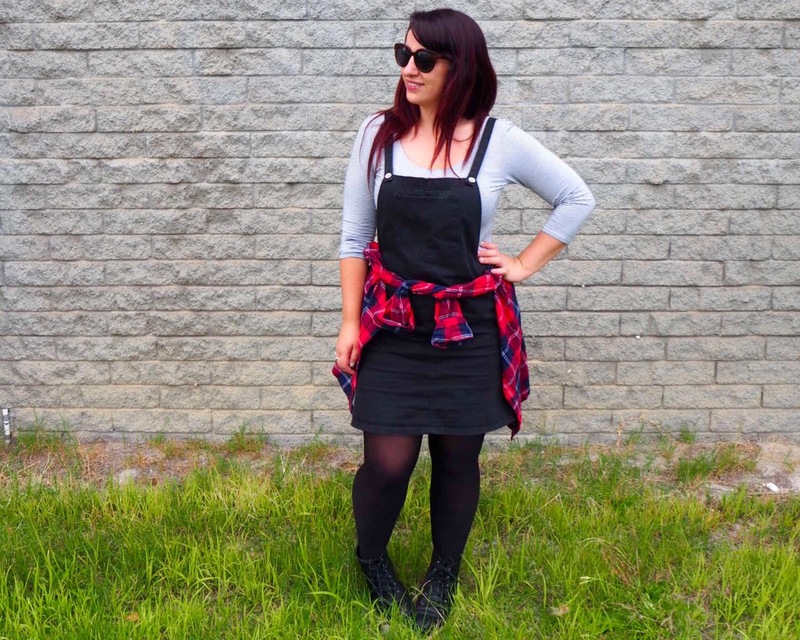 Are you a fan of the Winter pinafore? What are you wearing this season? Great photo’s. Pinafores were a favourite of mine back in the day. And my favourite thing in plaid was some PJ”s…..wish I still had them. Inspired to get a plaid shirt after seeing this post. I think you’d look fabulous in plaid T! You’ve definitely nailed this look. Thank you! I’m really happy with it! 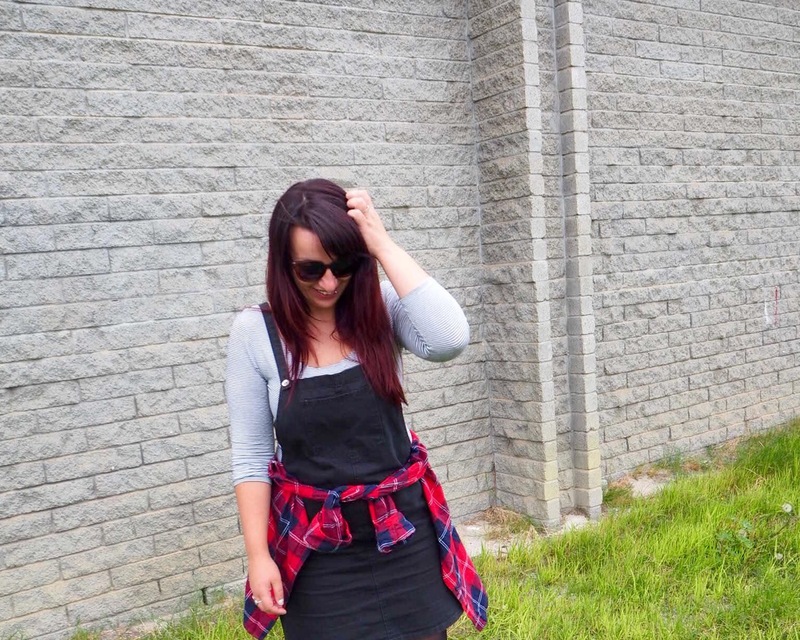 Pinafore obsessed ha! You can find a little bit of New Look in Target and The Iconic, and some shoes in Payless. I’m a big fan too. Occasionally they do free international shipping too. I love plaid too! Must remember to use your hashtag! Please do ! Can’t wait to see what you put together! Plaids are so fun to wear for Fall/Winter! I like pairing mine with stripes like you did too! I also like to dress it up a bit with black ponte pants and heels! Kind of fun to try new things! I’ll check out the Style It Project! Yay I’ll have a squiz now! Isn’t it so casual but cool! Love this! Such a great style and easily layered for all seasons! Thanks girl! It’s become a fast fave in my wardrobe! Ummm HELLO I’m a big boobed lass too ha! Super cute styling! I am with Beth I just cant get a pinafore to look appropriate over the epic rack. I love the shirt tied around the waist on you! I have an epic rack too love, haha! Just gotta keep trying all of them you own on!